Have you been looking for a way to protect your chimney from damage-causing outsiders like rain, leaves, animals, and birds? We can help! Here at DNA's Chimney Sweep Services, we sell and install the highest-quality chimney caps and dampers from industry leading brands. Although you may not see the damage taking place, an uncapped chimney will inevitably need extensive repair work. Caps work to block off the flue, preventing animal intrusion and moisture damage. Without a cap, your chimney is exposed to moisture and critters, both of which can block your chimney flue and damage the entire system, from the brick to the metal components. Having a quality chimney cap installed is one of the best investments you can make towards protecting your chimney system from rust, corrosion, and unwanted tenants. Additionally, a quality chimney cap will help reduce sudden downdrafts, and will work to prevent sparks and embers from the fire from exiting the chimney and igniting nearby combustibles. Here at DNA's Chimney Sweep Services, we have access to multiple sizes of termination caps, safety caps, spark arrestors, and damper caps. Whether you’re looking for a cap for a multi-flue chimney or a single-flue chimney, you can count on us to provide you with the best and most attractive and effective options. Galvanized, Stainless Steel, Or Copper? Galvanized Steel – Galvanized steel caps are enjoyed because they are an inexpensive option. One thing to consider is that galvanized steel will not stand up to the elements as long as the other options, so you will need to have your cap regularly inspected to make sure it’s still in good condition and effectively keeping rain and animals out. Stainless Steel – Stainless steel caps are great because they will last a long time and serve you for years and years. These are also rust-resistant, so you won’t have to worry about rust stains running down the sides of your chimney system. 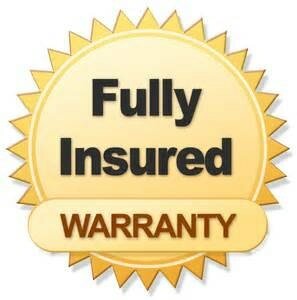 Stainless steel caps typically come with an extended warranty, so you can expect your investment to really pay off. Copper – Like stainless steel caps, copper caps will last much longer than their galvanized steel counterparts. One major perk of copper is that over time, copper caps develop a beloved patina, and many homeowners love the look that these caps add. When it comes to a factory-built chimney and fireplace, it’s imperative that you use a termination cap or spark arrestor that is specifically designed for compatibility with your particular system. Having a cap or spark arrestor installed that is not recommended by the manufacturer will oftentimes void your warranty and potentially lead to a system failure. If you have a factory-built chimney system and are in need of a new termination cap or spark arrestor, give DNA's Chimney Sweep Services a call! We’ll help you choose from options that are approved and recommended by the manufacturer of your factory-built fireplace and chimney, so you can enjoy your chimney system and your warranty! The damper is the component that closes off the chimney system when you’re not using your fireplace. Metal dampers have traditionally been installed in the throat of the chimney system, and although they usually serve us well, metal throat dampers can have problems, especially if the chimney is left uncapped. If water accesses the chimney, it can cause the damper to rust into place, rendering it useless. Has creosote buildup or rust caused your damper to stick? Our team can repair or replace it so you can enjoy your system once more! We carry and install quality top-mounted dampers, which work to keep your conditioned air in and cold drafts out. To learn more about our caps or dampers, please give us a call at (510) 200-9775 or click here! We look forward to helping you protect and preserve your chimney system!